No better inspiration than nature! 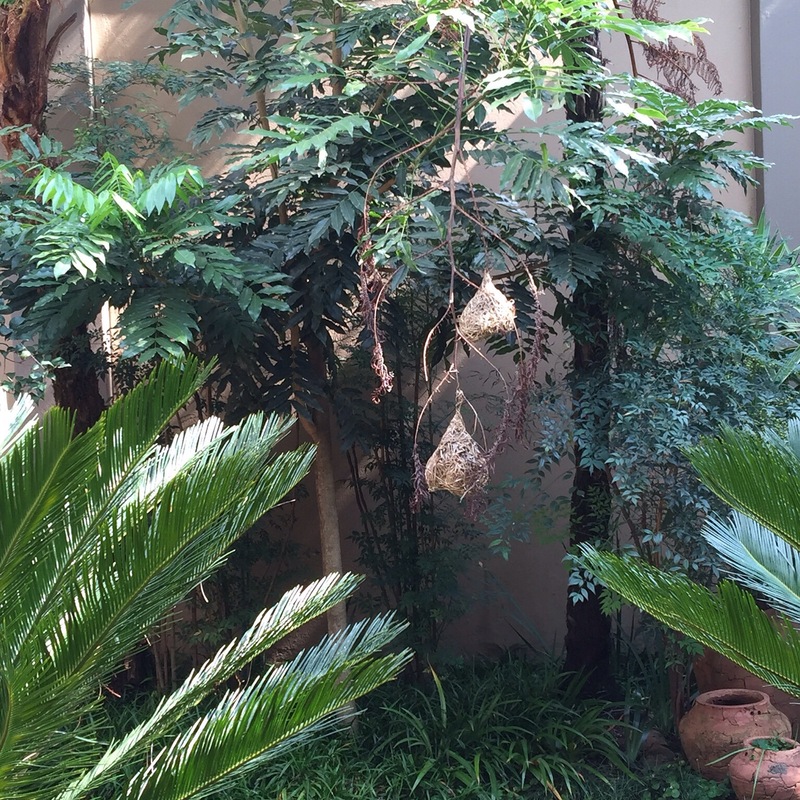 I have a little secret garden next to my bedroom and a weaver has designed a nest that somebody really liked (yay, for a change, because this poor boy has built and destroyed sooooo many nests). Unfortunately he chose a tree fern branch, which is not a very intelligent design choice, but wifey gave the go ahead, so I stepped in and have secured it to another tree…all us designers need a little help every now and again. We tend to sometimes be a little hasty in our choices! !I now have a family of weavers and I have taken to sitting and watching them from early in the morning. There is no better inspiration than nature, and no greater reminder from a weaver, that perseverance in design is what being a true designer is all about. HJ production and I are developing an amazing dress design, and have been working on the pattern since Monday, I know that when we sign it off into production it will be an HJ masterpiece, I just hope the patter makers will still like me!! I’m a perfectionist, and I am determined to design and produce perfect plus-size fashion…sometimes like the weaver who rips his nest apart, we in HJ production tear up countless attempts until we get the perfect garment.